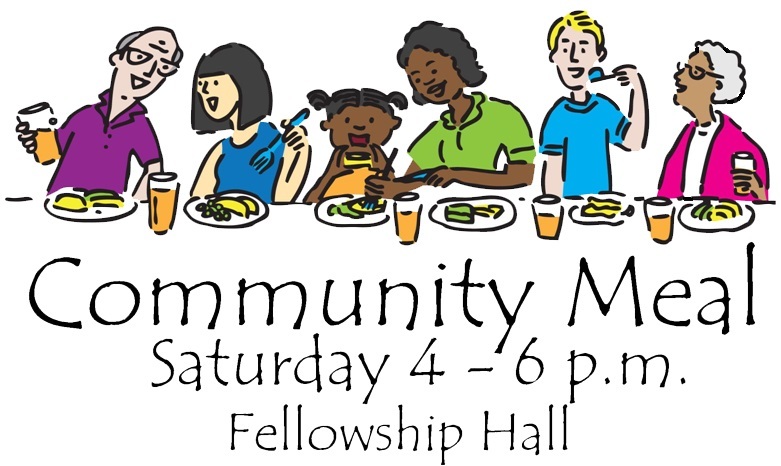 We have a hot cooked meal at 4 to 6 p.m. on the last Saturday of every month except November when we have a Community Thanksgiving Meal on Thanksgiving Day, and in December. Come in and join us. Everyone is welcome.